Vaughan has had an executive career spanning twenty years that has included senior leadership and general management positions. 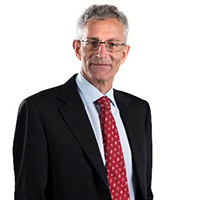 He is a board member of The Standards Council of New Zealand, Weltec (Wellington Institute of Technology), Cairns Group Ltd., Business Central and BusinessNZ. Vaughan is chair of the Risk and Audit Committees at Weltec and Business Central.He is a member of the Institute of Directors and has previously served on a number of other Boards and Government advisory panels. From 1998-2004 he was the CEO of South Pacific Tyres, New Zealand's largest tyre company, with 1,200 employees and sales approaching $200 million per annum. Previously he held general management roles in engineering, IT and sales and marketing. Prior to becoming CEO he held a strategic development position with SPT Australia, based in Melbourne. He holds an MBA from Massey University, and a BE Hons (Chemical) and a BSc (Chemistry) from the University of Canterbury. Jo is currently Intergen General Manager, having previously been Sales NZ Global Technology Services for IBM New Zealand and Chief Executive for Dimension Data and for Fujitsu. She has worked in a range of leadership roles both in NZ and overseas and is driven by providing great experiences for clients and their customers. As Director of Business Central, EMAC, and the President of the Wellington Chamber of Commerce, Jo is an engaged mentor and coach. She is also a strong supporter for the growth of Women in Tech and has previously been engaged on the Ministerial New Zealand CyberSkills Taskforce, and a Board Member for NZTech. A scientist-turned-strategist, Dr Karen Cooper's public/private sector career spans more than 40 years in the fields of business, governance, management consultancy, organisational management, regional development, science management, and scientific research. Her sector specialties include the Primary Industries (Horticulture, Wine and Food), Science, Education, Health, SME'S and Not-for-Profit. Karen holds current directorships of Business Central Inc, Wellington Employers Chamber of Commerce Ltd and has previously been a Director or Trustee of the Virtual Group New Zealand Ltd, the New Zealand Institute of Management (Central), as well as several SMEs and Not-for-Profits. A former CEO of Vision 2020 (Hawkes Bay Regional Economic Development), Karen has also led strategic regional development initiatives. 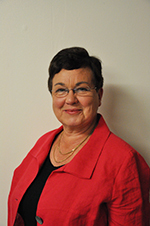 In the adult education sector, she has carried out multiple assignments for the New Zealand public sector and international organisations, regularly undertaking project reviews and evaluations. Karen owns a consultancy specialising in strategic development and works closely with Not-for-Profit organisations, SMEs and Māori trusts on governance capability, systems and training as well as strategy and risk management. She is a member of the Institute of Directors. Karen holds PhD, MBA and BSc Hons qualifications and is an Officer of the NZ Order of Merit (ONZM) awarded for services to science. She has also been recognised by several industry sectors for her contributions to science, research and management. Brent is a Senior Commercial Banker at Westpac, with over 15 years in Banking and Finance experience backed with a Banking and Finance Degree from Massey University. Based in Wellington, Brent has deep understanding of business and industries with Wellington and the Lower North Island and is passionate about Wellington business with a desire to ensure that the Wellington story is one of a strong, vibrant and collaborative business community. Brent's expertise lies in finance and commerce with strong networks in the business community. Mr Chris Gosling is the Chief Executive of the Wellington Institute of Technology and Whitireia Community Polytechnic, a position he has held since May 2015. He was previously Deputy Chief Executive (Operations) at Whitireia for three years. Chris worked in the Middle East setting up and operating a polytechnic in the Kingdom of Bahrain and prior to this was the Corporate Services Director at the Nelson Marlborough Institute of Technology. This role followed several years in finance and senior management roles in local government in New Zealand. Whitireia and WelTec have the third largest combined Institute of Technology and Polytechnic (ITP) offerings in NZ with total students enrolments of over 15,000 per year. Both are highly successful institutions that have been in partnership since 2012. Chris has been involved in implementing this strategic partnership, and now as Chief Executive is responsible for moving this alliance forward in a new era of tertiary education provision. He has also led the institutions into a collaboration with Victoria University of Wellington and the Wellington business community to establish an ICT Graduate School for the region to be opened in 2016. Chris is also leading a major campus development programme across both WelTec and Whitireia which includes a brand new inner city campus centred on the creative technologies and applied arts which will be open in 2018. Chris is currently the Deputy Chair of New Zealand Institute of Technologies and Polytechnics and is a member of the Metro Group of ITPs. Karun’s professional career has largely been in the Information Technology industry in New Zealand but also includes stints in the IT sectors in Singapore and India. This has included roles spanning management of major $100 million-plus technology programmes and leadership roles in software companies through to founding a tech start-up. He has operated his Wellington-based IT consulting company for over twenty years, providing programme and project management services as well as business transformation consultancy. Karun is currently on the board of Angel HQ (whose members invest in early stage companies) and English Language Partners (NZ’s largest NGO working with former refugees and migrants as an accredited training establishment). He has mentored startups, small businesses, and new migrants. Karun has a Bachelor’s degree in Technology and a Master’s in Business Administration. 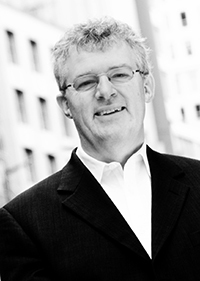 He is a member of the Institute of Directors, and a chartered member of IT Professionals NZ. Karun emigrated to Wellington thirty years ago – and says he has found it exhilarating to have experienced the city’s transformation into the world’s most liveable city. He is passionate about helping to generate sustainable growth so that Wellington’s vibrancy is underpinned by a strong economic, export and employment foundation. Adele is the Chief Executive of 3R Group Ltd with over 12-years management experience and nine years directly related to the development of waste solutions for environmental and economic benefit across a range of industries. Claire is the General Manager of Business Capability at Norwood. Claire has over 20 years’ experience in Human Resources mixed with IT, spanning the education sector, Māori health, and the agricultural industry. This experience has shaped Claire to become a business leader who collaborates seamlessly across diverse cultures and working groups. Claire has a Bachelor of Business Studies majoring in Human Resource Management and is a member of HRINZ. Claire is on the Board of Trustees for Glen Oroua School and is a shareholder for the family owned 160ha dairy farm. Upon joining Norwood in 2012, Claire established the Human Resources function which included policies, procedures and practices to support Managers. As General Manager, Claire now leads a diverse portfolio of functions including Information Systems and Technology, Health & Safety, Human Resources and Organisational Development. Claire works closely with Senior Leaders to ensure technology is enabling exceptional solutions for every customer every time, and capability development to attract, motivate and retain key talent, positioning Norwood for growth.